Marshal Graduation Stole wearied by the faculty who is assigning The line-up number given to the graduate during Commencement Countdown when they receive their graduation accessories. The Faculty Marshals will lead the graduates of their respective college into the ceremony as directed by the Grand Marshal. 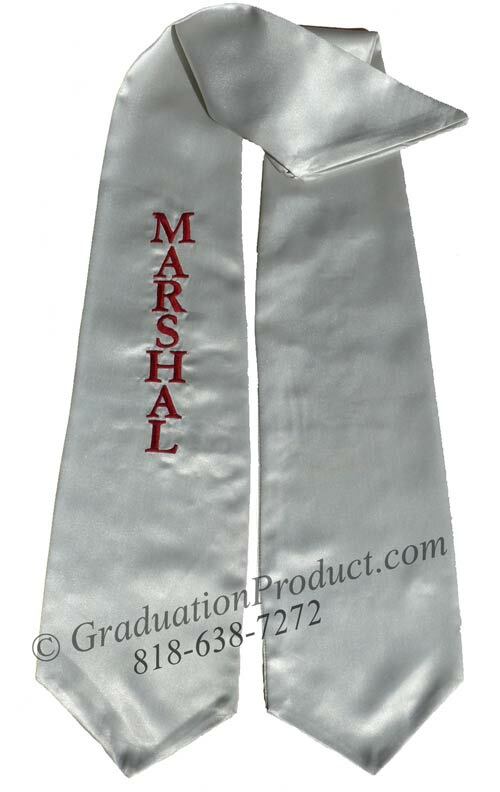 Customer Reviews on "Embroidered Silver Marshal Sash"